These are "stag jigged" bone scales. They are sold in a matched pair and are dyed and stabilized for high finish performance and maximum durability. 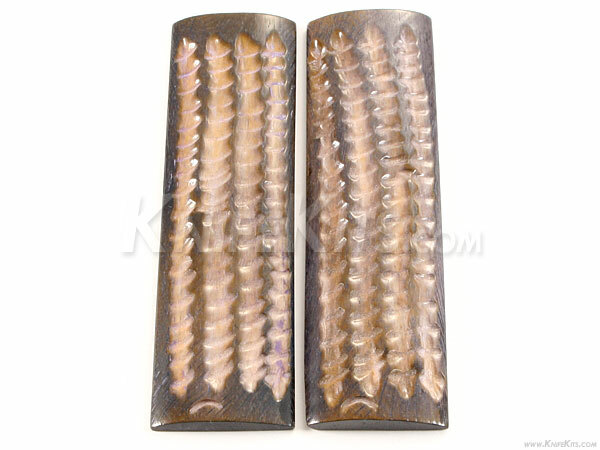 Jigged bone scales are very popular in knife and gun handle crafting. They are easy to work with using most common tools. They look great on any project when completed. 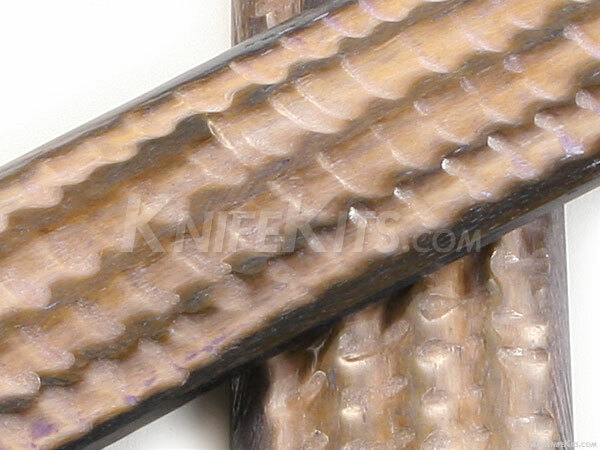 Well-finished jigged bone scales add excellent value to custom finished work.